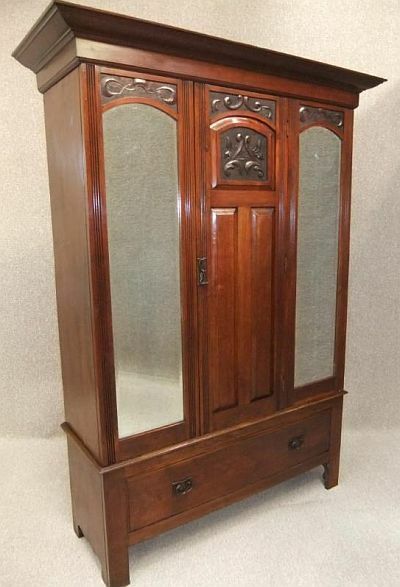 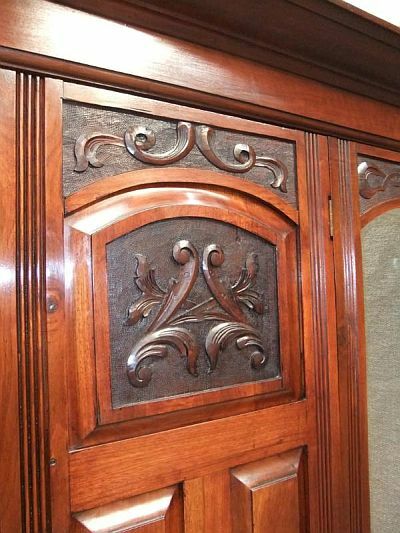 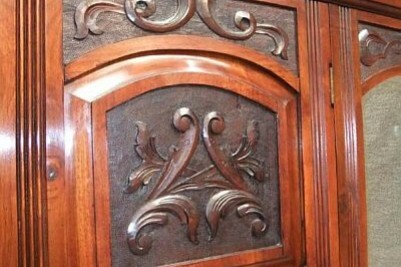 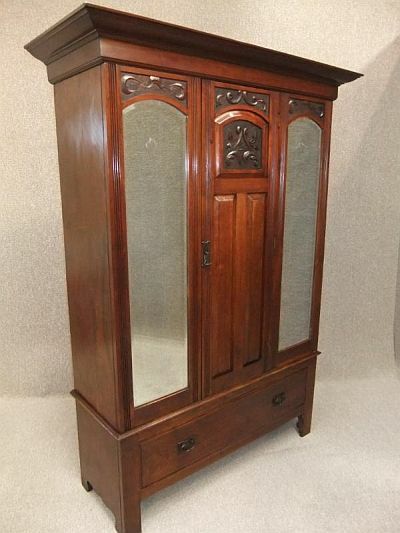 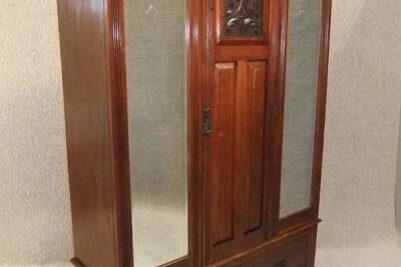 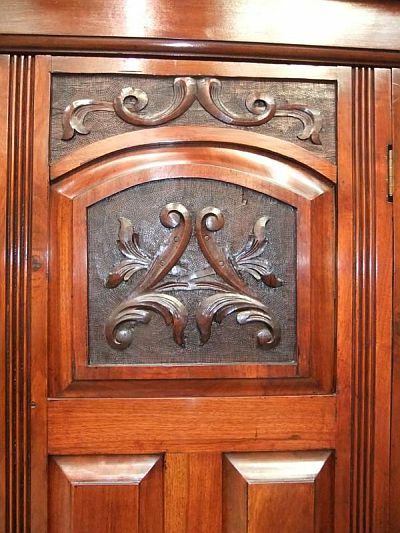 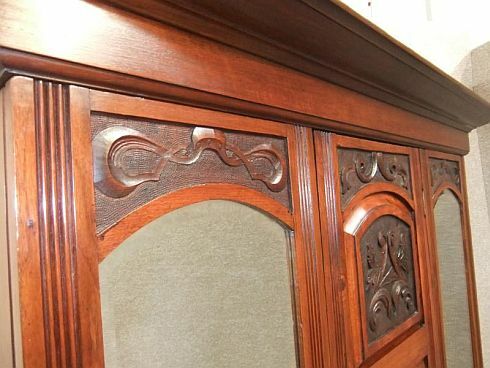 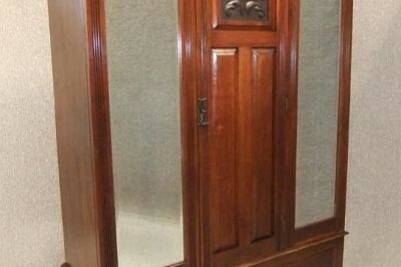 An attractive late 19th century art nouveau wardrobe with its decorative carved centre door flanked by two large bevelled edge full length mirrors. 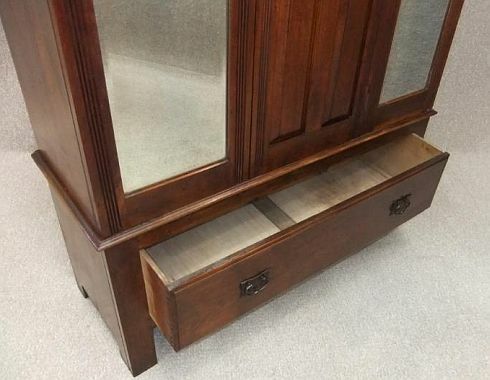 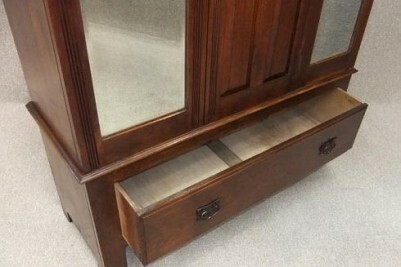 This sits upon a large base section with single drawer. 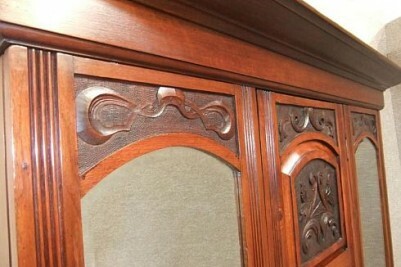 The item breaks down into 3 individual pieces for ease of transportation and re-assembly. 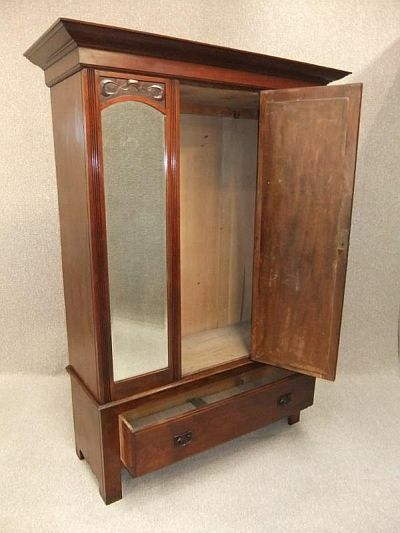 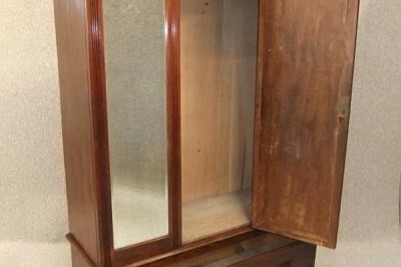 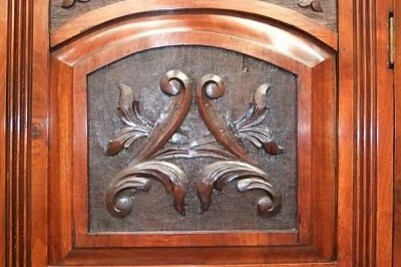 This piece is in lovely condition for its age, ideal as a single piece or match up with existing bedroom furniture.